My sister introduced me to this band a few years back. I’m usually skeptical with musical suggestions from Emma, but after listening to ‘Disco biscuit love,’ I felt she had discovered a gem. The Electric Brixton was the venue and like many other venues in London it was small and packed to the rafters (Australian reference). I was surrounded by Occas and to be honest couldn’t remember much of the actual performance, which makes me think this band was nothing special (or perhaps that I should not have drunken so much wine). The one think I was hoping for was that ‘Disco biscuit love’ would be an encore; this was not the case, as the band didn’t even play my song! Emma warned me this would happen. After the show my house mate and I thought we would confront the band about this matter and after stalking out a band members father we sent him off to get the band. He returned moments later to inform us that The Jezebels had gone to the after party without us. 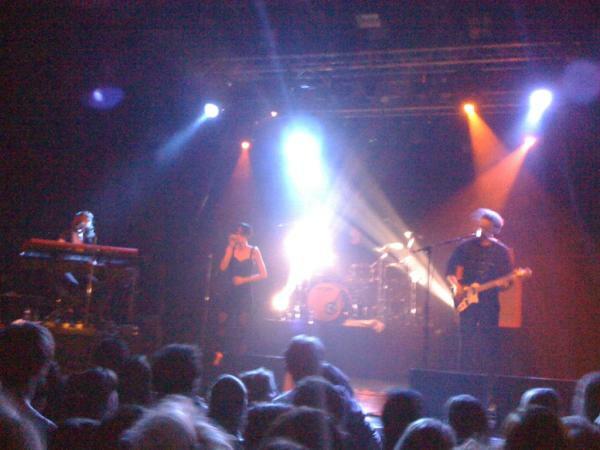 This entry was posted in Uncategorized and tagged brixton electric, the jezebels. Bookmark the permalink.